Friends, I am so excited to share that I recently accepted a Regional Director position with BIRTHFIT. BIRTHFIT NE Portland will launch this Spring and I couldn't be more thrilled to bring this incredible movement and programming to the Portland area. Below is an edited excerpt from my Regional Director application sharing my own view of what BIRTHFIT is to me, as a coach, nutritionist and new mom. BIRTHFIT is a mindset; an ever evolving mindset, I might add. 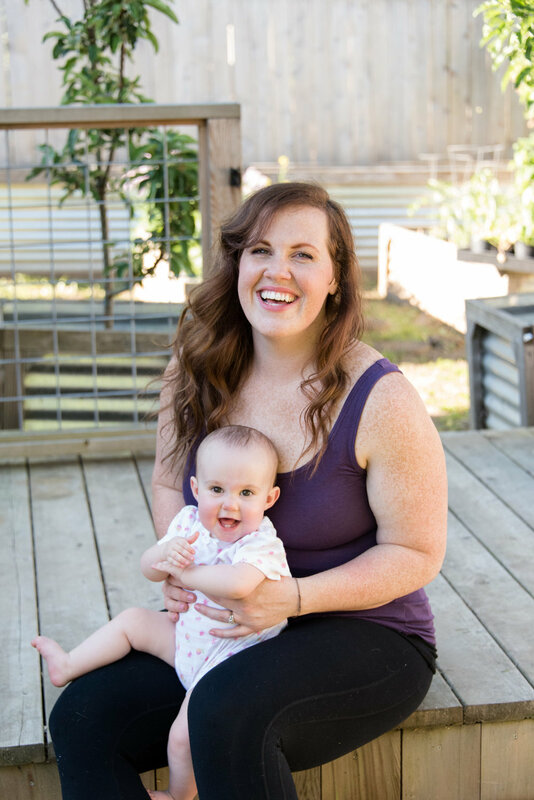 My own mindset has evolved along with my relationship with BIRTHFIT through the last two years: from strong athlete, coach and nutritionist, to first time pregnancy, and through the motherhood transition. This mindset has come from places of seeking and sharing: community, healing, preparation, empowerment, strength, and encouragement. At the BIRTHFIT summit, Elizabeth Bachner spoke about recognizing what hat you’re wearing as you move through life and how that influences your actions and experience. Is this your mom hat? Your coach hat? Your concerned friend hat? This resonated with me as I reflected on the hats I wear within my BIRTHFIT experience and how this impacts my relationship with my clients. During my pregnancy, BIRTHFIT was a source of empowerment, strength, and identity. As a competitive crossfit athlete, I was determined to remain active through my pregnancy. I connected with the BIRTHFIT community through instagram. It gave me great comfort to see images of strong women working out, pushing weight through the very end of pregnancy and doing it safely. It validated, in a way, my own instinct to consciously move and train for birth. This simple online community helped me feel empowered in my body, confident with my changing shape, and connected to the life I was creating. This strength mindset translated to an uncomplicated, fast, and amazing birth experience. As a new mom, BIRTHFIT became about healing, emotionally and physically. Adopting the slow is fast mindset was a big battle for me. I desperately wanted to be back in the gym, back to feeling like myself, and back to my community. Working my way through the Queen In Training at-home program, I realized (and am still realizing) my body has evolved into a new, stronger version of itself. BIRTHFIT cultivates a refreshing view of the amazing postpartum body. Learning to celebrate my new body and channel my inner Queen, helped me shift away from the “get my pre-baby body back” mindset. As a crossfit coach, trainer, and nutritional therapy practitioner specializing in prenatal and postpartum care, my BIRTHFIT mindset transforms to one of responsibility, empowerment, encouragement, and preparedness. There is a responsibility to care for my clients in the most holistic way possible and help them be the strongest version of themselves as they prepare emotionally, physically and spiritually for birth and the motherhood transition. The work we do as leaders in the BIRTHFIT movement, not only supports these incredible, strong women, but also greatly impacts baby. Our work impacts generations, and that is an incredible responsibility. During the BIRTHFIT Coaches seminar, I absorbed information both through the lens of a new mom and a coach. I left knowing I had not only found my community, but also found my calling. Pregnancy and the motherhood transition should be strong, supported, celebrated and beautiful experiences. I’m here to share my own experience, connections, and knowledge to empower women to have their best pregnancy, birth and motherhood experiences. So what is BIRTHFIT? BIRTHFIT is a community, it is a mindset, it is a movement; a movement that must be cultivated and shared.